For the first time since Camaron de la Isla´s absence, Tomatito backs a singer with his guitar. For the first time ever, José Mercé and Tomatito, enlist in a joint project with the title ‘De Verdad’ (Truthfully). 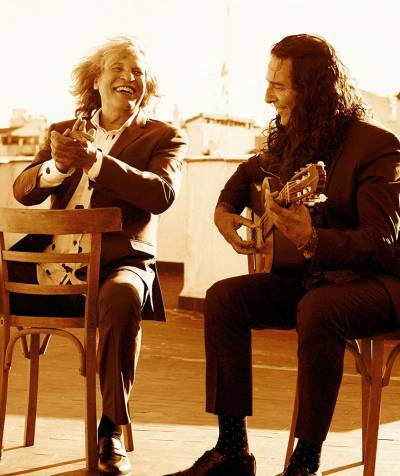 They are two of the main models of current flamenco, and two great friends too; two undoubtful maestros, enrolled in a deep trip to present a new album where they recover their roots and their passion for the most intense flamenco. Accompanied by a grand group of artists, they go over the ¨palos¨ and delightful melodies that have been with them all through their long careers and have taken them to get together in this project. They also perform some of their best hits.